All owners/shareholders of LasVegasDiet.com are proud members of Rotary. Rotary International is made up of 35,000+ clubs worldwide with more than 1.2 million members. The individual club we belong to is, Las Vegas WON Rotary Club. For those not familiar with Rotary, it is the oldest service club in USA, founded on February 23, 1905 by Paul P. Harris from Chicago, Illinois. His objective was assembling professionals with diverse backgrounds and they could exchange ideas, form meaningful, lifelong friendships, and give back to their communities. Each purchase made online here at LasVegasDiet.com the owners automatically donate 100% of money allocated to Rotary. ALL products sold on LasVegasDiet.com an amount is donated in two equal portions. Rotary International Foundation will receive one half of our donations from each sale. The Las Vegas WON Rotary Club will receive the other one half of our donations. 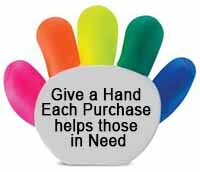 Should any buyers decide they would also like to donate additionally funds to these charitable organizations we will accept the funds. LasVegasDiet.com will pass along 100% of collected funds received of additional donations will be sent 50/50 to the above two entities. The famous Las Vegas WON Rotary Club is a new style Rotary Club, with fresh, new, exciting ideas, network with prominent members and ways to implement new technologies. From the very first day of existence, Las Vegas WON Rotary Club has and will continue to set records throughout Rotary. Las Vegas WON Rotary Club Chartered, with 125 members, which is the largest ever in the 112-year history of Rotary. Call 702-210-4201 or click on this link for more info. Las Vegas WON Rotary Club was created on April 8, 2016. We take great pride in our new style Rotary Club which has no geographic limitations, extremely flexible attendance in person or online, no fines, extremely low monthly fees ($29), live streaming video of each meeting, transparency on all decisions, easily become a Board Member or Officer and much more. Want to Live Longer – Join with Us….It is a PROVEN FACT! Contact us about becoming a member of the prestigious organization. If you do not like helping others or making the world a better place, then join with us for selfish reasons. Fact, people with a sense of purpose had a 15 percent lower risk of death, It did not matter when people found their direction whether they were in their 20s, 50s or 70s. University of California, Berkeley study states people 55 or older who volunteered for two or more organizations were 44 percent less likely to die over a five-year period than those who did not volunteer. These results took into consideration many other factors including age, exercise, general health and negative habits like smoking. International Journal of Psychophysiology study shows people who gave social support to others had lower blood pressure than people who did not. Helping others, volunteer for organizations, offer emotional support or donate to charities studies show that giving is also good for the giver by boosting physical and mental health.